It’s a beautiful day outside… the sun is beaming, the temperature is perfect… and the wind is just right on the Chesapeake. If only you could be sailing right now… Well… you can! There are plenty of Boating schools and Boat Rental services to choose from in Annapolis, MD. Cruise Annapolis claims to have the finest fleet on the Chesapeake, including a new model Fountaine Pajot and Jeanneau yachts. With them, you can experience Annapolis, St. Michaels, Tilghman Island and all the Chesapeake has to offer. Cruise Annapolis offers Bareboat, skippered, or ASA instructional charters. They deliver the perfect charter vacation, full-service from start to finish. The Cruise Annapolis charter experience is designed to make your trip as relaxing, rewarding, and memorable as possible. The experience begins with your personal charter concierge, who will walk you through the entire process, helping you choose your boat, your destinations, and everything you need for an amazing charter vacation. We’ll help plan out a customized route for your sailing adventure, starting in the sailing capital of the U.S., Annapolis, and traveling to the best waypoints on the Chesapeake. Beyond the Chesapeake, we provide the same world-class charter experience from a host of destinations such as the Bahamas, Florida and the Virgin Islands. Liberte is custom built for sailing, comfort and fun. Their cruising grounds are some of the most beautiful and historic in the country. The captain and crew are committed to your safety, comfort and enjoyment. The schooner, Liberté, is docked on Spa Creek in Annapolis, Maryland. During the summer months, she’s in Falmouth harbor in Cape Cod, Massachusetts. Captain Chris and Jane had this vessel built just for them. Join them on their two beautiful, wooden, 74-foot schooners, Woodwind and Woodwind II, for a true sailing experience in Annapolis, Maryland. You can help raise the sails, steer the boat, or simply sit back and relax as Woodwind sails from the historic Annapolis waterfront into the Chesapeake Bay. 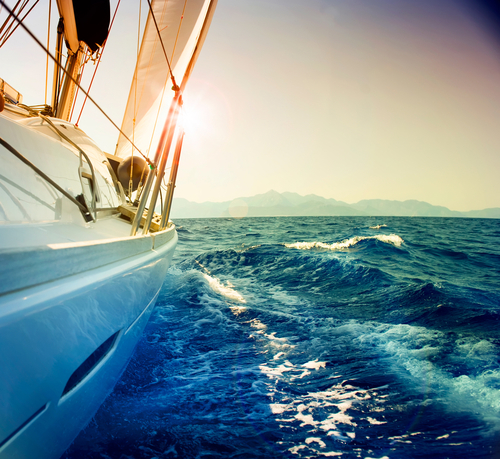 As a family business, they take great pride in making your sailing experience a memorable one. Our captains and crew are engaging and enthusiastic. Sail away with them! Catering to clients seeking a private sailing adventure for up to six passengers, they offer world-class sailing yachts, decades of experience, and 5-star service to ensure that your charter is memorable. All our charters are for private parties, so you can have it your way. Captains Tony or Suzy help boaters who are new to boating, moving up in vessel size, or who just want to improve existing skills. They provide customized instruction based on your experience and skills, and they can do it on your boat or theirs, power or sail. They provide a community at the Annapolis Sailing School for your ongoing growth and enjoyment. They offer day boat rentals, Keelboat Club, KidShip Sailing, Annapolis Powerboat School, Annapolis Water Experiences with stand-up paddle boarding, and events at their beautiful location on Bembe Beach. Check out our next blog about the top 6 restaurants in Annapolis!